It’s always tempting when you meet up with company execs to ceaselessly bug them for information about the newest, biggest, fastest whatever on the horizon. It’s a pretty big part of being a journalist, after all. Sometimes though, it’s more interesting to hear which features are most often requested, but will probably never happen. In Dropbox’s case, this seems to be the ability to keep folders in sync outside of Dropbox’s default desktop folder, but Illya Fushman, head of Dropbox’s business and mobile products, tells TNW that’ll probably won’t be happening any time soon, if ever. “We have an opinion on the quality of experience we want people to have and one of those is that we want the experience to be as simple as possible, and as widely useful as possible. So, a lot of times when we get these requests, we try to find ways we can satisfy them; those aren’t always the specific thing the people asked for. They might say ‘I want feature x’ but really what they’re asking for is to be able to do something. 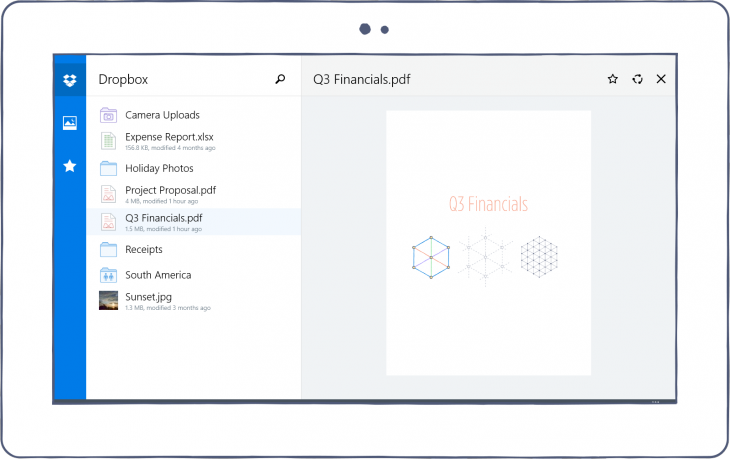 One long-standing request Dropbox did fulfil this week was the launch of its first official Windows Phone app, and there are a slew of incoming features for Dropbox for Business users too. For example, Dropbox badge, a feature that’s still in early access. 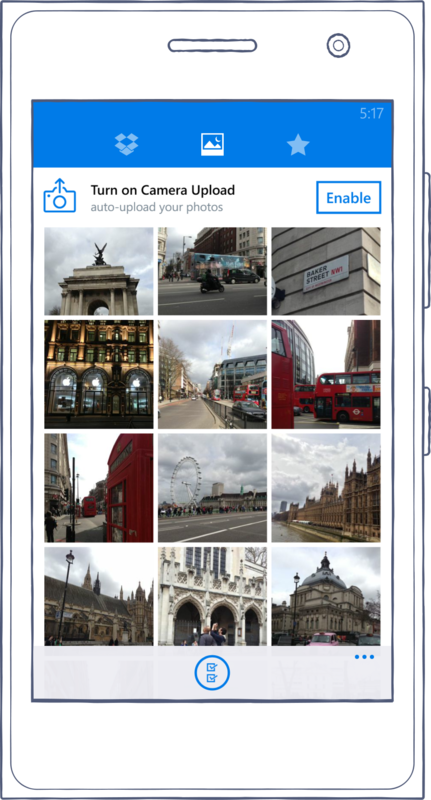 It essentially allows you to collaborate and work with colleagues using Dropbox-integrated apps. So, with Microsoft Office files, you can see who is viewing or editing a file (it pops up a message telling you if multiple people are editing the same file too, to save duplication of work) or update to the latest version of a file with a click. Currently, the badge only appears on Word, PowerPoint and Excel documents on Mac and Windows devices, but there’s Web Office support on the way soon, Fushman tells us. For now, it remains in early access, but it’ll be rolling out more widely to business users “in the next short while,” according to a spokesperson. Will consumer users get to use it? “We don’t have any concrete plans, but I definitely think that’s a really interesting thing to think about because there’s all kinds of functionality that you can offer through this,” Fushman told me. Another feature due to break out of early access “in the near future” is Groups, which makes it easy to group colleagues with which you can share specific folders. Right now, you have to create a folder and then invite people individually each time, so having the ability to just share a folder with a pre-set group will make life a lot easier for pretty much any organization. What all of this screams is that Dropbox’s focus is squarely on business users right now, and its purchase this week of CloudOn is testament to that. It’s not the company’s technology Dropbox was interested in, though. A growing total user base (300 million globally, with 120 million of those in Europe), faster growth in the UK than in the US and twice as many organizations using Dropbox for Business as this time last year, are all helping the company stave off the threat from rivals like Box (and a number of others) in the consumer market. With new talent on board in the form of CloudOn, Dropbox is now intent on perfecting its enterprise offering through deep integration with core apps – and if it can get other big names like Microsoft on board, it’ll stand a pretty good shot at achieving its goals for growth there too.